No time for outfit posts yet....but I'm working from home this morning and put together a quick lunch I thought I'd share. 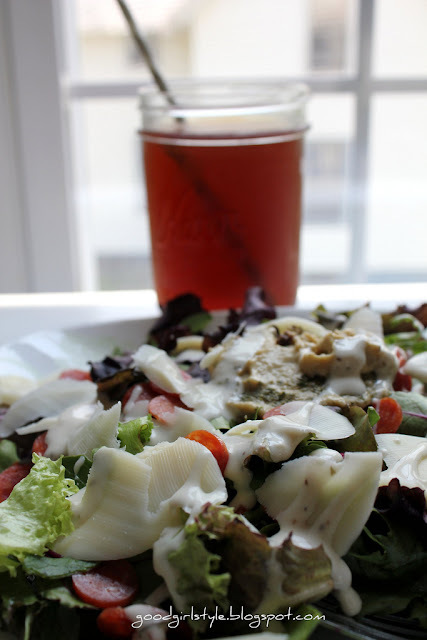 This salad is my favorite pizza toppings made into a salad. My favorite toppings are pepperoni and black olives, usually with onions. The salad is: organic salad mix, mini pepperoni, freshly sliced mozzarella from a block, Sabra greek olive hummus (my new favorite) and organic buttermilk ranch dressing. Easy and delish! 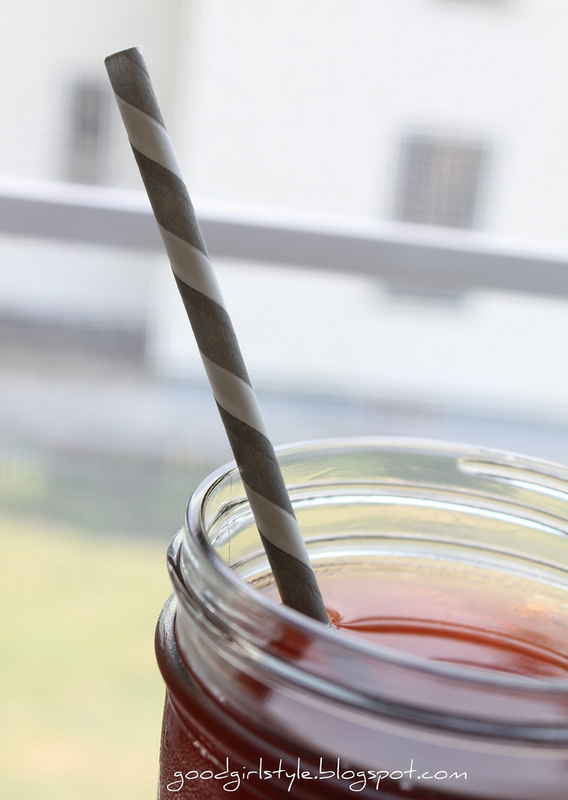 On the side: peach iced tea in a canning jar, with an awesome striped straw. That oughta keep me going for the rest of the afternoon! Have a beautiful first day of June, loves!